The solution is simple to change the Hibernation settings in Windows 10, turn off, turn on, or disable completely if required! 1.) ... 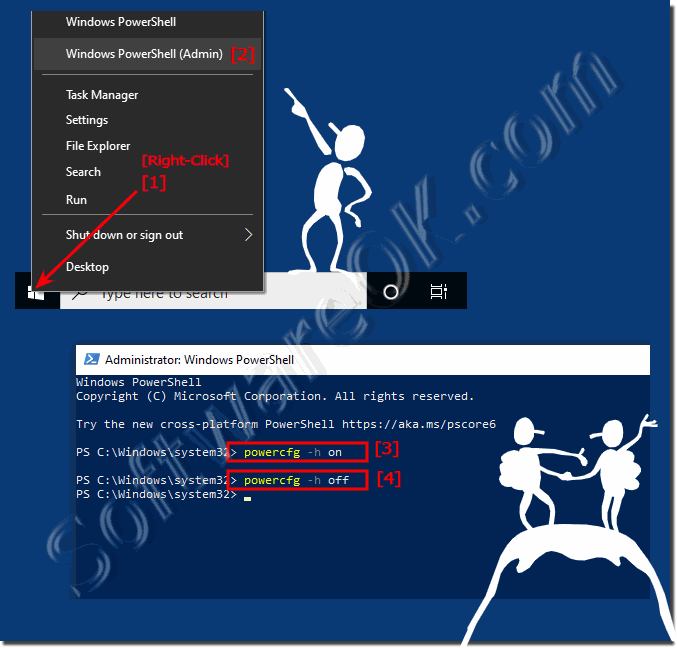 Disable, enable customize, turn off/on Hibernate or Sleep in Windows 10 over Power Options! 2.) ... Disable or enable, the Hibernate via the command powercfg in Windows 10! ► ... disable preview in the Taskbar of Windows 10 ► Disable Password in Windows 10 (hibernation, energy saving)! 1.) 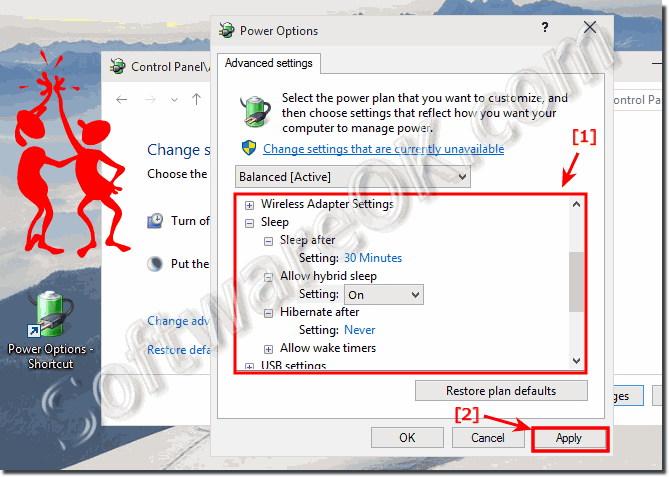 Disable, enable customize, turn off/on Hibernate or Sleep in Windows 10 over Power Options! (Image-1) Windows 10 Power Option CUSTOMIZE! 1a.) Change plan Settings in Windows-10! 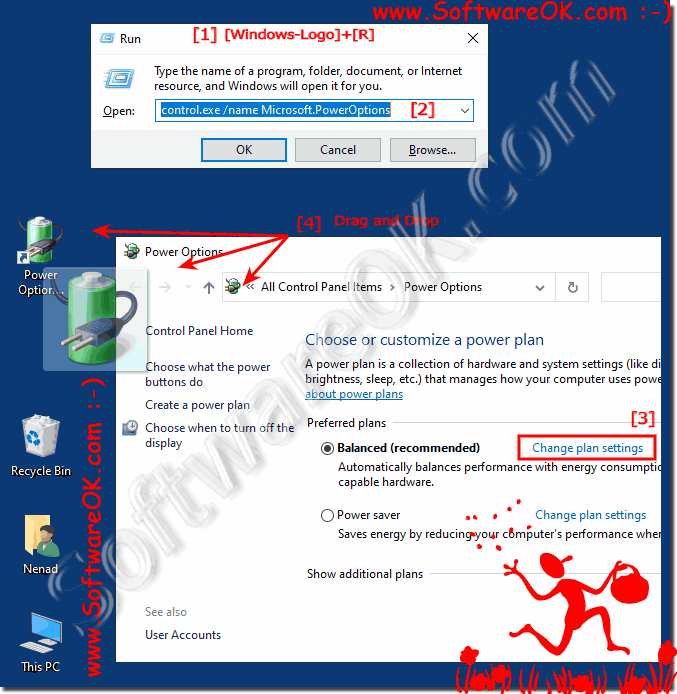 (Image-1) Customize the power settings in Windows-10! 1c.) Customize the advanced power options settings in Windows-10! 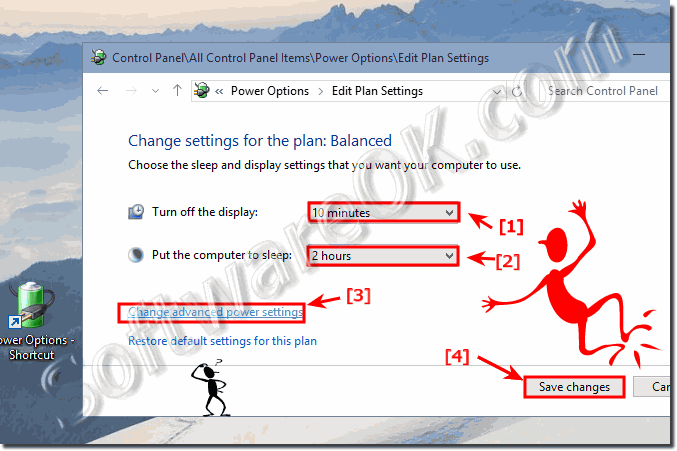 (Image-1) Advanced power options settings in Windows-10! On most PCs, you can resume working by pressing your computer's Power Button. However, not all computers are the same. You might be able to wake your computer by pressing any key on the keyboard, clicking a mouse button, or opening the lid on a laptop. Check the documentation that came with your computer or go to the manufacturer's website. 2.) Disable or enable, the Hibernate via the command powercfg in Windows 10! Please start the cmd.exe in admin mode! (Image-4) Disable or enable, the Hibernate sleep via the cmd.exe! 3.) Temporarily disable sleep in windows 10! Windows 10 is on ENERGY EFFICIENCY, it may happen that the windows go faster to sleep or hibernate , that is necessary, also if the programs are working and have not completed the tasks or download. This problem can be solved with the freeware Don't Sleep, without disable or change the energy features setting in Windows -10. 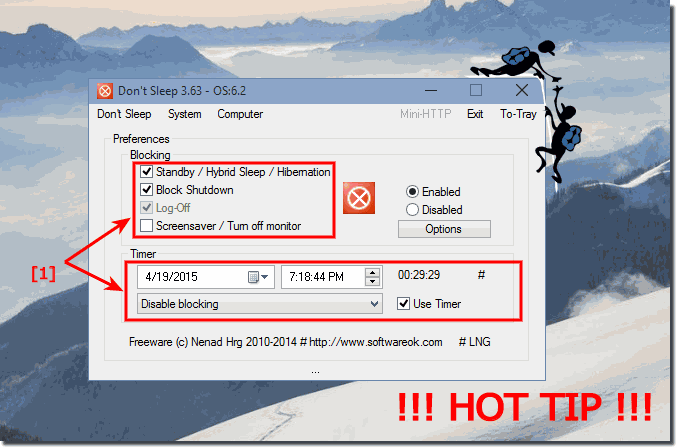 (Image-5) Temporarily disable sleep and hibernate in windows 10! What's the difference between sleep, hibernate, and hybrid sleep? The Windows 10 Sleep is a power-saving state that allows a computer to quickly resume full-power operation (typically within several seconds) when you want to start working again. Putting your computer into the sleep state is like pausing a DVD player—the computer immediately stops what it’s doing and is ready to start again when you want to resume working. The Windows 10 Hibernation is a power-saving state designed primarily for laptops. While sleep puts your work and settings in memory and draws a small amount of power, hibernation puts your open documents and programs on your hard disk, and then turns off your computer. Of all the power-saving states in Windows 10, hibernation uses the least amount of power. On a laptop, use hibernation when you know that you won't use your laptop for an extended period and won't have an opportunity to charge the battery during that time. The Window 10 Hybrid sleep is designed primarily for desktop computers. Hybrid sleep is a combination of sleep and hibernate puts any open documents and programs in memory and on your hard disk, and then puts your computer into a low-power state so that you can quickly resume your work. That way, if a power failure occurs, Windows 10 can restore your work from your hard disk. When hybrid sleep is turned on, putting your computer into sleep automatically puts your computer into hybrid sleep. Hybrid sleep is typically turned on by default on desktop computers. Prevent my windows 10 computer from automatically sleeping or hibernating! You can adjust how long your windows 10 computer waits before sleeping or hibernating or prevent it from turning itself off altogether. But be careful. On a battery powered laptop, inhibiting sleep or hibernation can result in data loss if the battery dies. You can prevent unauthorized access by requiring a password to unlock your computer when it wakes from sleep. For more information, see: How do I change the password requirement when my Windows-10 wakes from sleep? See also: ... disable preview in the Taskbar of Windows 10 || Disable Password in Windows 10 (hibernation, energy saving)! Windows-10 - FAQ-42: Hibernation settings windows 10 (turn off, enable)?